Object Storage Service (OBS) is a stable, secure, efficient, and easy-to-use cloud storage service. With Representational State Transfer Application Programming Interfaces (REST APIs), OBS is able to store unstructured data of any amount. With reliability built into multiple levels of the architecture, OBS achieves up to 99.999999999% (11 nines) in data durability, and maintains an impressive 99.99% service continuity rate. OBS schedules data in the most optimal way, and leverages transfer acceleration and big data optimization to deliver the best possible data access experience. OBS has passed the Trusted Cloud Service certification. It secures your data with server-side encryption, URL validation, VPC-based network isolation, log auditing, and fine-grained permission control. OBS supports REST APIs, provides multi-language software development kits (SDKs), and is compatible with all mainstream client tools. With OBS, you can upload, download, and manage your data anytime, anywhere. OBS can deal with traffic burst, relieving you from worries about delay in capacity expansion. OBS provides elastic scaling of resources that can be charged per use. OBS delivers a designed availability of 99.99% to meet your requirements for website continuity. OBS provides high-performance and highly available storage services, which can be expanded quickly to develop cloud applications at low costs. In the process of meeting primary storage needs, OBS is capable of handling heavily concurrent connections without sacrificing response speeds. OBS provides an elastic storage system that is scalable in real time. It can dramatically reduce your cost when used in combination with big data services on HUAWEI CLOUD, while accelerating innovation and facilitating data management. OBS provides elastic scaling of resources, which can be charged per use. OBS provides full REST APIs and SDKs, with open third-party ecosystem. OBS offers three types of storage classes with two payment options. OBS is automatically scalable and deeply integrated with other cloud services. OBS Console: with which you can upload, download, and manage your data through web anytime and anywhere. OBS Browser: enables you to access and use the service conveniently with the same swift speed as operating files over a local resource. Third-party tools: such as AWS S3cmd. Many tools, such as Commvault, Eisoo AnyBackup Cloud, and Chinasoft International JFun Box, have been developed with partners so you can enjoy wider benefits from the open ecosystem. You can use Data Express Service (DES) to transfer massive data at volume to OBS offline through physical storage media. DES saves both time and money, transferring data 10 times faster than a traditional Internet connection, and at only one-fifth the cost of a high speed network. Pay per use, or, alternatively purchase yearly or monthly packages to enjoy lower prices. Standard, Infrequent Access, and Archive. Minimize your total cost of ownership by choosing the most suitable storage class. Compared with regular on-premises storage, OBS reduces overall cost by 20% to 80% while enhancing data reliability. OBS costs zero in terms of an initial investment and daily maintenance. Based on nearly infinite scalability, OBS provides secure storage for hundreds of billions of files and digital content every day. You can increase or reduce your storage capacity on demand, adapting to your specific needs. In various industries such as Internet, healthcare, media and entertainment, bioscience, and finance, OBS is relied upon for important enterprise solutions including enterprise web disks, backups, websites, and cloud applications. Migration: OBS can be integrated with Data Express Service (DES) to migrate your data to OBS. Backup: OBS can be integrated with Volume Backup Service (VBS), Image Management Service (IMS), and Relational Database Service (RDS) to provide you with optimized backup services. Storage: OBS can be integrated with MapReduce Service (MRS), Data Warehouse Service (DWS), and Cloud Trace Service (CTS) to provide you with optimal storage experience. Function conjunction: OBS can be used together with Key Management Service (KMS) and Simple Message Notification (SMN) to provide you with extra functions. OBS provides powerful and flexible security protection mechanisms, as well as fine-grained user access control to secure your data comprehensively. OBS provides a highly reliable data center storage and cross-data-center disaster recovery. OBS uses storage policies to optimize storage management efficiency. HUAWEI CLOUD has passed the following certifications: C-STAR, Trusted Cloud by MIIT China, Cloud Service Cybersecurity Evaluation by the Cyberspace Administration of China, Cloud Service Classified Protection Level III by the MPS China, and ISO27001:2015. Provides URLs that are accessible within a specified period of time, allowing anonymous users to download software or access other applications. Records all requests for OBS. A target bucket can be configured so that all access logs of all other buckets are delivered to the target bucket for audit. You can configure CORS rules to allow third-party requests to access OBS resources. Provides four access control mechanisms: Identity and Access Management (IAM), Access Control Lists (ACLs), storage bucket policies, and user signature authentication. With server-side encryption, OBS can use KMS to manage keys. In addition, it uses AES 256-bit symmetric keys to automatically encrypt your static data, and decrypt your data upon downloads and retrievals. You can configure whitelists and blacklists to prevent resources from being stolen. 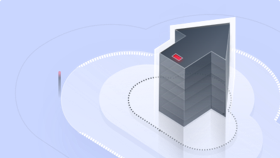 As the destination of public cloud data, OBS delivers outstanding object storage reliability. OBS employs the following reliability technologies to deliver a storage infrastructure that is durable and highly available, as well as to support OBS SLAs. Disaster recovery within a region: With OBS, data can be stored in multiple data centers (distanced hundreds of kilometers away), ensuring protection against failures at the data center level. Device redundancy within a data center: Data is sliced and stored to multiple storage devices, protecting against multi-node failures. Data integrity check: OBS periodically checks storage system data integrity, and features an integrated and automatic self-healing capability. Versioning: OBS supports multiple versions of an object, so that you can restore data quickly in case of mis-operations or application faults. Data lifecycle management: OBS provides programming and policies to set lifecycle rules for objects. Therefore, expired data can be batch deleted automatically. If the versioning function is enabled, you can configure a lifecycle policy to delete outdated versions of objects. Event notification: When operations in OBS such as uploading and deleting objects trigger preset conditions, the SMN service can push reliable, extensible, and massive notification messages to subscribers through emails and text messages over HTTP or HTTPS. This simplifies the system coupling. Static website hosting: Bucket policies can be configured for static website hosting in OBS. A static website contains only static content (such as HTML) or client scripts. How Do I Subscribe to OBS?